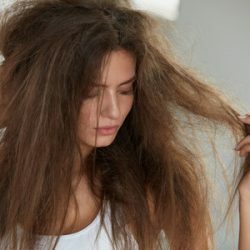 Worst Foods for Your Hair | Stylistic Inc.
You may think the secret to great hair is using the right hair care products, but did you know that your diet plays a big role in the health of your hair? Without the right nutrients, hair can become brittle, dry, and in some cases even begin to thin. So what foods should you avoid to keep your hair looking and feeling great? High levels of mercury can lead to hair loss. Larger fish like swordfish, tuna, and mackerel tend to have a lot of mercury, so they are best avoided. In general, eating seafood in moderation will be best for your hair. Just like excess sugar can be bad for your skin and your body, it can also be bad for your hair. Your hair relies on protein, and sugar slows protein absorption. Fake sugars like aspartame are also linked to hair loss. Your body converts processed starches such as white bread and pasta into sugar, which can cause your hair to thin. A low glycemic-index diet can help keep your sugar consumption under control. Greasy foods make skin greasy, and this includes your scalp. T excess grease will clog your pores and cause hair loss. Here at Stylistics Inc. we offers a wide variety of services for individuals suffering from hair loss. From fitting your hair system to cutting, styling, coloring and more, we create beautiful looks for women and men in a comforting environment. Contact us today to schedule an appointment!